OK friends, we are going to take a week's detour from hard cleaning - week 3 for Kitchen Cabinets and Drawers took me about 4 hours and week 4 of Fridge, Freezer and Floor was hard (and cold) work and I need a break! Next week, we will be finishing up the kitchen and moving deeper into our houses, so be ready! But real quick, let me answer a few questions I get asked frequently. Why schedule one space a week and why so slow? Here are my thoughts. A few of them anyway. Consider it kind of a spring cleaning project that you can do once a year. Yes, we should be cleaning more often than that, but if we are all being honest with ourselves, some things simply do not get done as often as they should. Things like blinds, ovens, and behind furniture. Anyone else? By concentrating on just one area each week, we run less of a chance of burnout- ask me how I know this! It is easy to start strong and be excited, hence all of the amazing pictures you all have been sharing, but then real life sets in, we get a little lazy, and all of a sudden time has gone by and something else has demanded our attention. I get it, because I can be guilty of it. Accountability, and in my case, checklists, have a great way of motivating people. 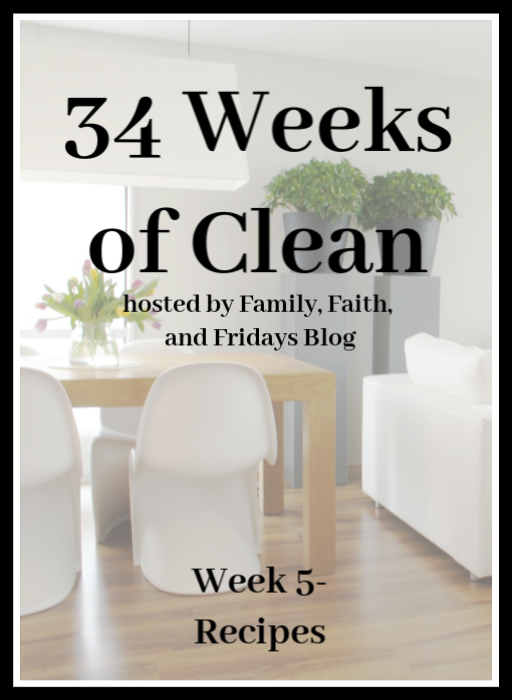 If you missed my post last week on Weekly Cleaning, make sure you check it out! And so why the checklists? For your ease and motivation! To help you think outside the box and to help hold you accountable. Just pretend each time you check something off I am standing there nodding my head and smiling. Especially on those hard projects. And let's face it, everyone's definition of hard project will be different. That being said, NO AVOIDING the hard projects. If we get to one you REALLY do not want to do, I am willing to bet it is the one you need to do the most! ;) Just do it, and then enjoy the weeks you are excited about. Not all will be exciting, but all will get you one step closer to taking your house back! So this week is a simpler project- recipes! Ok, maybe not simpler, but at least no scrubbing is involved. More organizing, and I LOVE organizing, remember? But, be forewarned that this is a little more than just straightening things up a bit. This project usually takes me several hours. I had two file boxes of older, tried and true recipes. One for only desserts and one for anything else. Last year, after careful consideration of ALL the recipes, yes one by one, I threw out half and put the rest into just one box. I asked myself with each one I touched, do I fix this, do I like it, am I ever going to fix it? There is NO reason to keep a recipe I am NEVER going to fix because my family would not eat it. Other recipes that got the axe were ones with a million steps to them. I know my life and I know my tolerance level- I am not a chef nor do I desire to be one. Time to trash the recipes that do not fit into my busy life. Quite frankly, I am tired of copying new recipes onto those tiny little cards I cannot read anymore, so last year I adopted a new-to-me system. Hold on to your hats! Yep, that is it. Silly easy, huh? I divided sections into categories that make sense to me and then put the recipes in page protectors. (I even have a new one this year with Keto recipes.) Makes clean up easy when I have tiny helping hands, and makes it much easy to file recipes I pull out of magazines or off the internet. Get those recipes organized. If you have a system that works for you, yay! Go through it and throw out the ones you don't use. If not, go buy an inexpensive three ring binder and give it a try! Don't forget those cookbooks! I used to have about a million more. I even collected a series from Southern Living. They were beautiful but I NEVER used them. I finally took them to Goodwill several years ago. It was time to stop carrying around (we moved often remember) 15 cookbooks just because they were pretty! Go ahead - pare down, you can do it! This is what it looked like last year! Yes, this is really what I kept! And about these little things. You know that impulse aisle in the grocery checkout aisle? Well, it is not the candy that gets me. Well, that gets me too, but it's those little themed recipe booklets that call my name. They seem fun at the time. But I cannot tell you the last time I actually used one of those recipes. So I went through every one last year, yes I did, and pulled out about 5 recipes I wanted and KNEW I would actually use. They went into my 3 ringed binder and the rest went in the trash. Yay me!! A year later- I have not bought one new one! A small victory! See, no cleaners or rags involved. 'Til next week! ;) One more week in the kitchen, friends. Hang in there, we are almost done with this area. Remember, we are on a quest to take back our homes. That means we are not only cleaning, but de-cluttering and reorganizing as well. More things mean less room. More things take up space we could use otherwise - in our homes and in our heads! Have fun and keep only what you need and will use!